Step inside the Wizarding World with the Harry Potter Medium Costume. 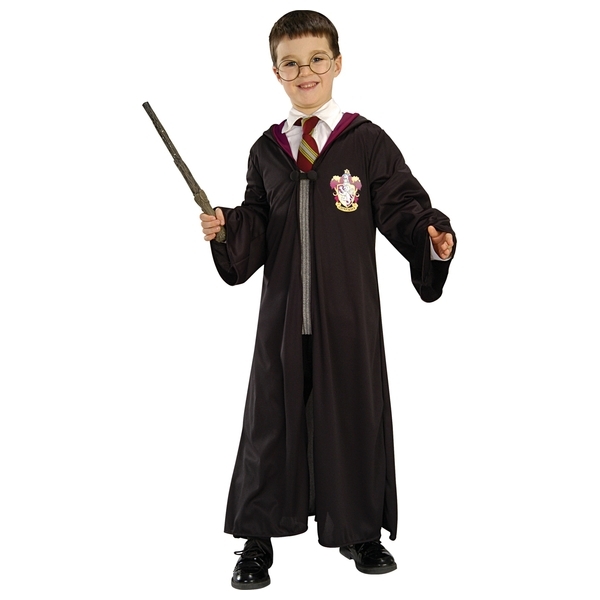 Sized to fit children aged 5-8, this Harry Potter costume features a hooded Gryffindor robe and comes with a pair of round glasses and a wand. Harry Potter fans will love transforming into their favourite wizard! Recreate all the most exciting scenes from the Harry Potter books and movies, or imagine brand new adventures in Hogwarts. With the round glasses and Harry’s wand, you’re sure to look the part. The Harry Potter Medium Costume is perfect for Halloween, Book Day, or any Harry Potter adventure.